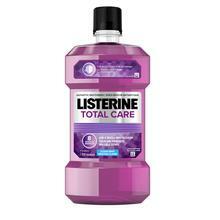 LISTERINE ORIGINAL® Antiseptic Mouthwash is rated 4.5 out of 5 by 70. 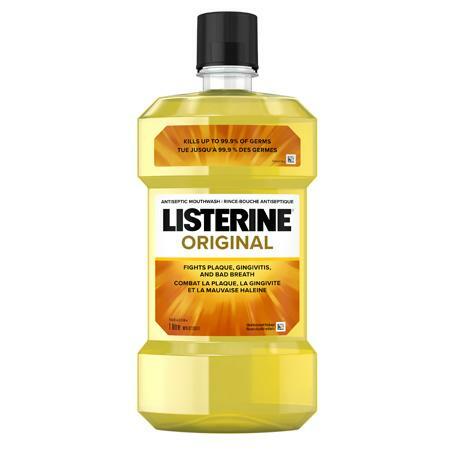 It’s the one and only classic LISTERINE® Antiseptic Mouthwash, and the Canadian Dental Association validates that adding it to your routine reduces and prevents gingivitis better than brushing and flossing alone. Rated 5 out of 5 by cins from Excellent for Plaque Control! Helps control plaque and great for keeping gingivitis under control. Rated 3 out of 5 by Helen from Good Taste Overall not too bad. Not as "strong" as some of the other variations on the market but still left my mouth fresh. Rated 4 out of 5 by imot from Works Effectively I find this product works effectively to stop bad breath. Rated 4 out of 5 by JJshop from Original and Classic The stronger taste is reassuring that it is killing the germs. 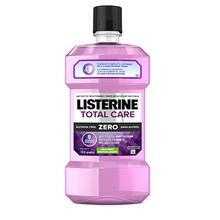 Listerine is a long-time well known brand, available everywhere. Rated 3 out of 5 by Mshaw2920 from Too strong for my taste Works great. Keeps breath fresh for hours. However I cannot stand the taste. So strong it burns! Rated 4 out of 5 by Oogachucka5 from Great classic covers the basics The original started it all. This is a classic and covers the basics. 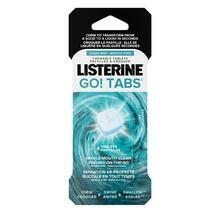 Listerine has gone on to develop all-encompassing formulas that cover these benefits but also do much more. Give the other more advanced formulas a try for extra benefits.